In Hear This, A.V. Club writers sing the praises of songs they know well—some inspired by a weekly theme and some not, but always songs worth hearing. This week, we’re remembering songs from the great lives performances we saw in 2012. Outside of that lightning-in-a-bottle context, “Spicy Peeñ” is still pretty good, though a little more eccentric and weird than that high-energy performance would have suggested. (And the NSFW, disgusting official video should be avoided at all costs.) 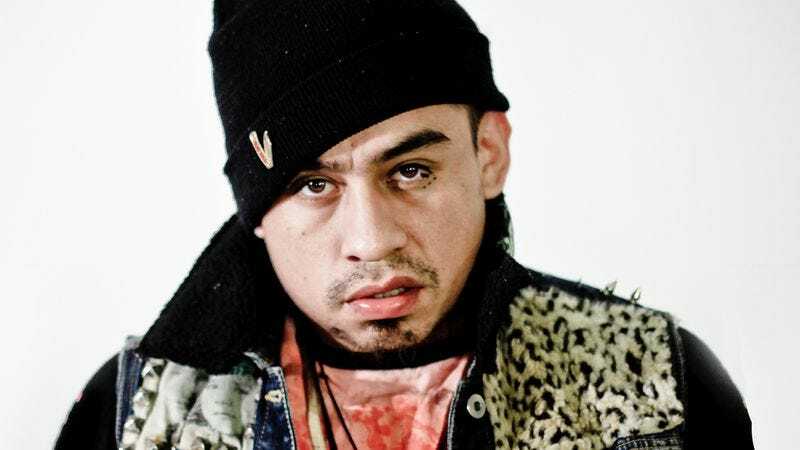 Mictlan’s hazed-out, free-associative flow is less sharp than it usually is, but it fits with the song’s dirty, druggy vibe, as does the blurry production. It’s a love-it-or-hate-it kinda track, but the couple hundred people who were at the Empty Bottle that night have extra reason to love it.